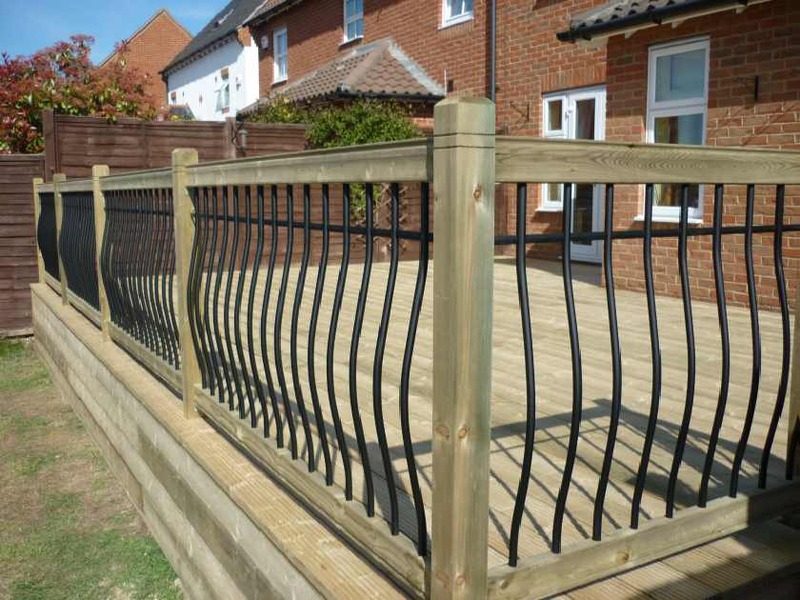 This slightly elevated deck in Ashford is constructed from tanalised softwood timber, completed with metal balustrade. Looking at the available options, it can be a cost effective way of getting the most from your outdoor space when the back garden is simply sloping away. Rob McGee & Son for the design, build, and maintenance of decks in Kent, London, The Southeast. Call 01233 740389 or email for service.